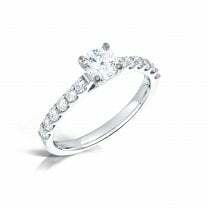 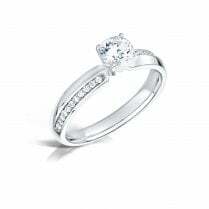 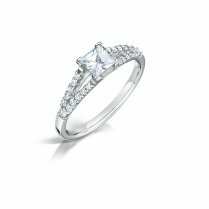 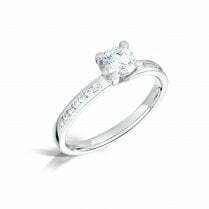 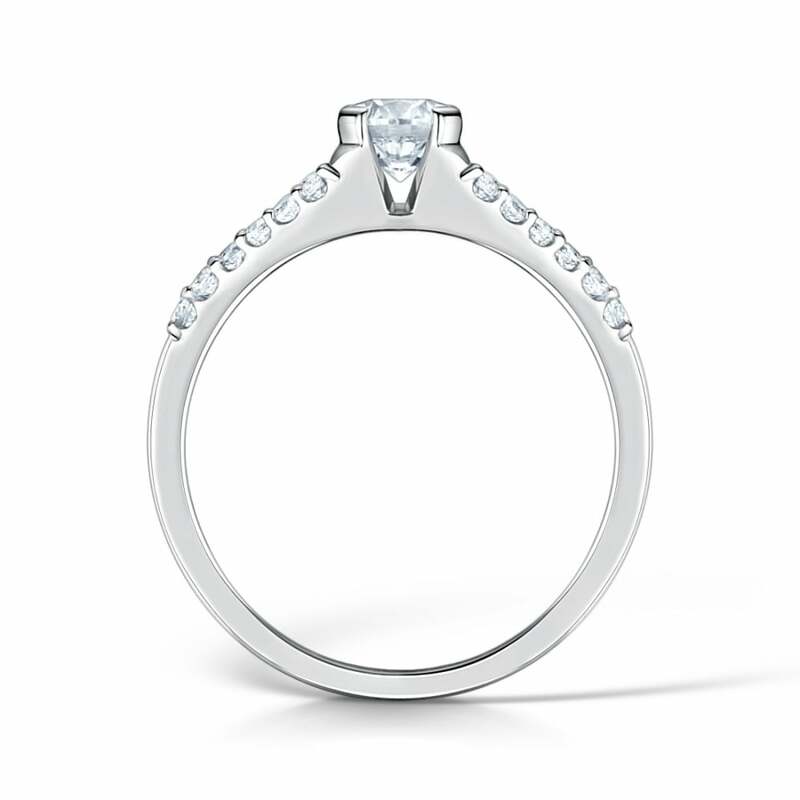 Round brilliant cut diamond set with four claws & highlighted by diamond set split shoulders. 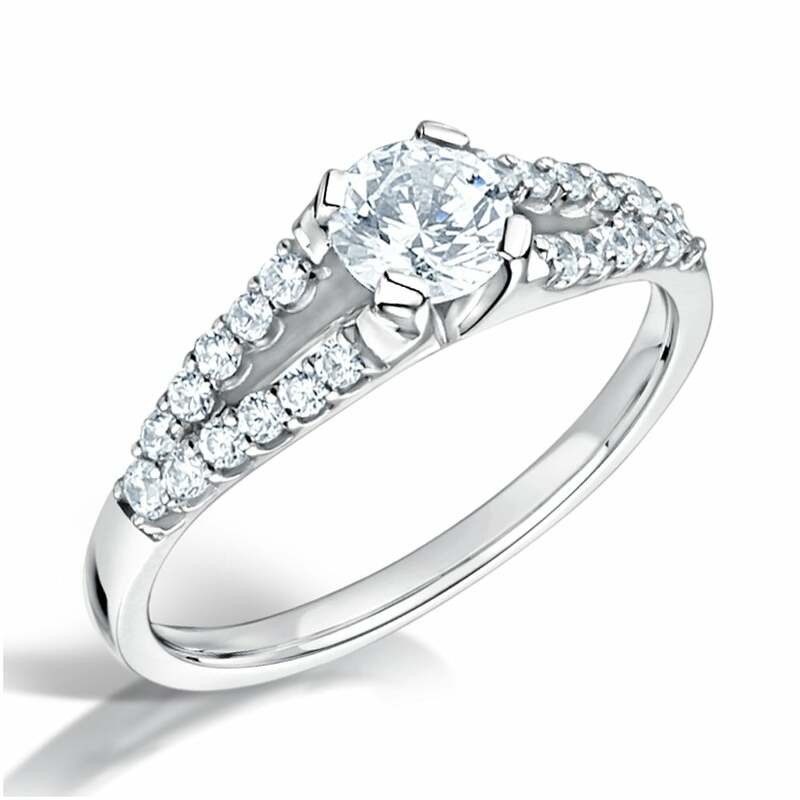 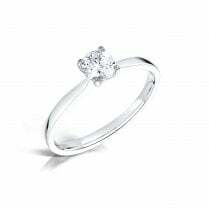 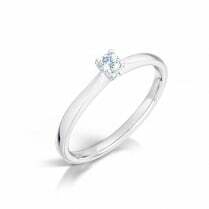 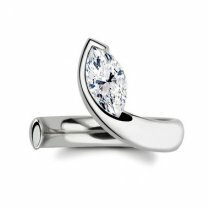 Central stone is independent certificated by world leading laboratory GIA as E VS2 & 0.50ct. 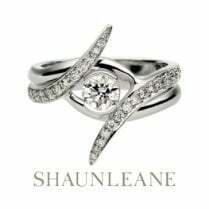 22 round diamonds are set on to the split shoulders totalling 0.25ct. 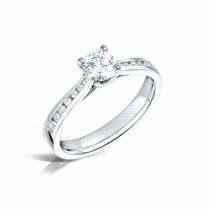 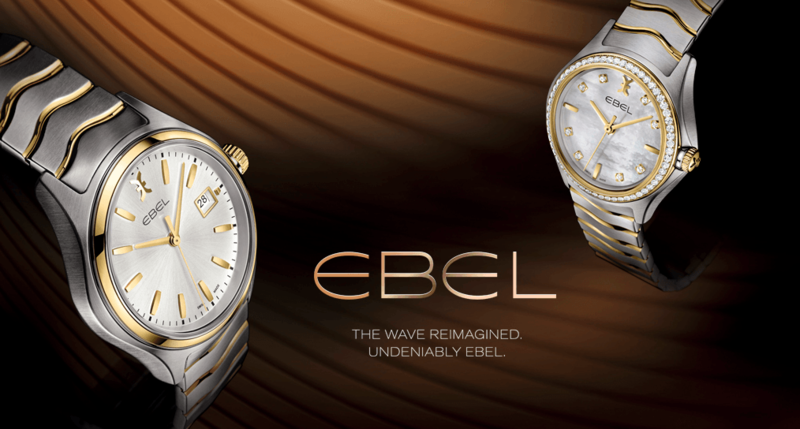 Set in Platinum, designed & made in our Jewellery Quarter workshops.